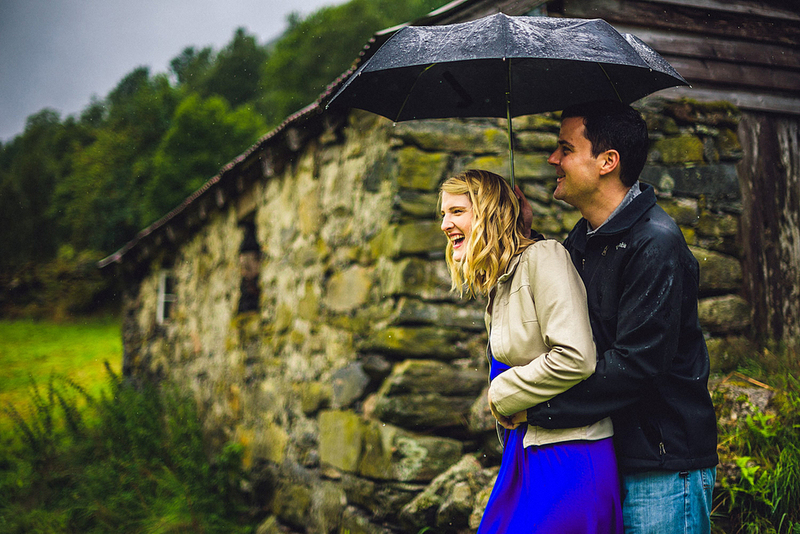 When Alyssa first contacted me about their one year anniversary photos we talked about doing the shoot in Geiranger. I'm very glad that I suggested to go to Sunnmørsalpene (The Sunnmøre Alps) instead because that place is like a fantasy world. As you can see we didn't have the weather on our side at all and we took advantage of those 10 minute windows without rain in the beginning, but we gave up after a while and just went for it. All three of us were soaked to the teeth and we had so much fun! I have to pinch my arm to believe that my job is real. Thank you so much for coming all the way from Washington D.C. and for flying me to Ålesund to photograph you together. I'm truly honored!